For your education, enjoyment, and (perhaps) excitement, this is a list of the greatest poems originally written in the English language. It is presented from least greatest (No. 10) to greatest greatest (No. 1), and each poem is followed by a brief analysis. The poems in the list were selected by the Society of Classical Poets to inspire and educate new poets, but they can also inspire and educate all people with their timeless wisdom and universal themes. Additionally, I note that long poems, such as epics and plays, and excerpts of such works have not been considered for this list. A closer reading reveals that the lonely choice made earlier by our traveling narrator maybe wasn’t all that significant since both roads were pretty much the same anyway (“Had worn them really about the same”), and it is only in the remembering and retelling that it made a difference. We are left to ponder if the narrator had instead traveled down “the road not taken,” might it have also made a difference as well. In a sense, “The Road Not Taken” tears apart the traditional view of individualism, which hinges on the importance of choice, as in the case of democracy in general (choosing a candidate), as well as various constitutional freedoms: choice of religion, choice of words (freedom of speech), choice of group (freedom of assembly), and choice of source of information (freedom of press). In this, we see the universality of human beings: the roads leading to carpenter and banker being basically the same, and the carpenter and banker at the end of them—seeming like individuals who made significant choices—really being just part of the collective of the human race. Then is this poem not about the question of how to make a difference in the world, after all? No. It is still about this question. The ending is the clearest and most striking part. If nothing else, readers are left with the impression that our narrator, who commands beautiful verse, profound imagery, and time itself (“ages and ages hence”), puts value on striving to make a difference. The striving is reconstituted and complicated here in reflection, but our hero wants to make a difference, and so should we. That is why this is a great poem, from a basic or close-reading perspective. 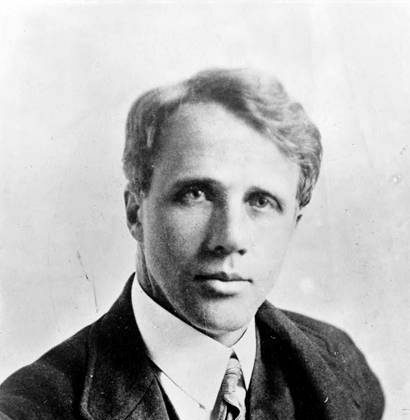 Robert Frost was a New England poet of the late Romantic and Modern periods. He spent his young adult years straddling both farming and teaching in rural New England. When he relocated his family to England to pursue poetry there, his career took off. They returned to New England after three years because of the outbreak of World War I, and he served in many eminent academic positions in the ensuing years. Inscribed on the Statue of Liberty in New York harbor, this sonnet may have the greatest placement of any English poem. It also has one of the greatest placements in history. Lazarus compares the Statue of Liberty to the Colossus of Rhodes, one of the Seven Wonders of the Ancient World. Like the Statue of Liberty, the Colossus of Rhodes was an enormous godlike statue positioned in a harbor. Although the Colossus of Rhodes no longer stands, it symbolizes the ancient Greek world and the greatness of the ancient Greek and Roman civilizations, which were lost for a thousand years to the West and only fully recovered during the Renaissance. “The New Colossus” succinctly crystallizes the connection between the ancient world and America, a modern nation. It’s a connection that can be seen in the White House and other state and judicial buildings across America that architecturally mirror ancient Greek and Roman buildings, and in the American political system that mirrors Athenian Democracy and Roman Republicanism. In the midst of this vast comparison of the ancient and the American, Lazarus still manages to clearly render America’s distinct character. It is the can-do spirit of taking those persecuted and poor from around the world and giving them a new opportunity and hope for the future, what she calls “the golden door.” It is a uniquely scrappy and compassionate quality that sets Americans apart from the ancients. While circumstances today have changed drastically, there is no denying that this open door was part of what made America great once upon a time. It’s the perfect depiction of this quintessential Americanness that makes “The New Colossus” also outstanding. 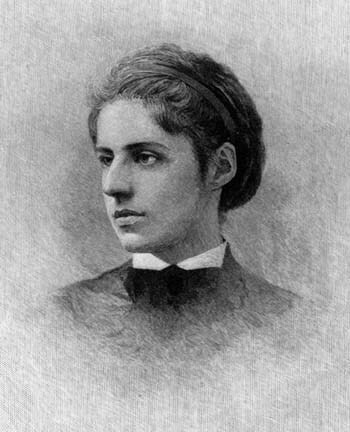 Emma Lazarus was a New York poet of the Romantic period. Of aristocratic Jewish background, she worked for the defense of Judaism and Jews in Eastern Europe and throughout the world, as well as for the welfare of immigrants to the United States. Her poem “New Colossus” was at first forgotten among many poems written to help raise money for the building of the pedestal of the Statue of Liberty. After Lazarus’s death, the poem—indeed a sort of Lazarus itself (the biblical character raised from the dead)—was found by statue patron Georgina Schuyler, who selected it to be engraved on the statue. In this winding story within a story within a poem, Shelley paints for us the image of the ruins of a statue of the ancient Egyptian king Ozymandias, who is today commonly known as Ramses II. This king is still regarded as the greatest and most powerful Egyptian pharaoh. Yet, all that’s left of the statue are his legs, which tell us it was huge and impressive; the shattered head and snarling face, which tell us how tyrannical he was; and his inscribed quote hailing the magnificent structures that he built and that have been reduced to dust, which tells us they might not have been quite as magnificent as Ozymandias imagined. There are yet more layers of meaning here that elevate this into one of the greatest poems. In terms of lost civilizations that show the ephemeralness of human pursuits, there is no better example than the Egyptians—whom we associate with such dazzling monuments as the Sphinx and the Great Pyramid at Giza (which stands far taller than the Statue of Liberty)—yet who completely lost their spectacular language, culture, and civilization. If the forces of time, history, and nature can take down the Egyptian civilization, it begs the question, who’s next? Additionally, Ozymandias is believed to have been the villainous pharaoh who enslaved the ancient Hebrews and from whom Moses led the exodus. If all ordinary pursuits, such as power and fame, are but dust, what remains, the poem suggests, are spirituality and morality—embodied by the ancient Hebrew faith. If you don’t have those, then in the long run, you are a “colossal wreck.” Thus, the perfectly composed scene itself, the Egyptian imagery, and the biblical backstory convey a perennial message that makes this a great poem. 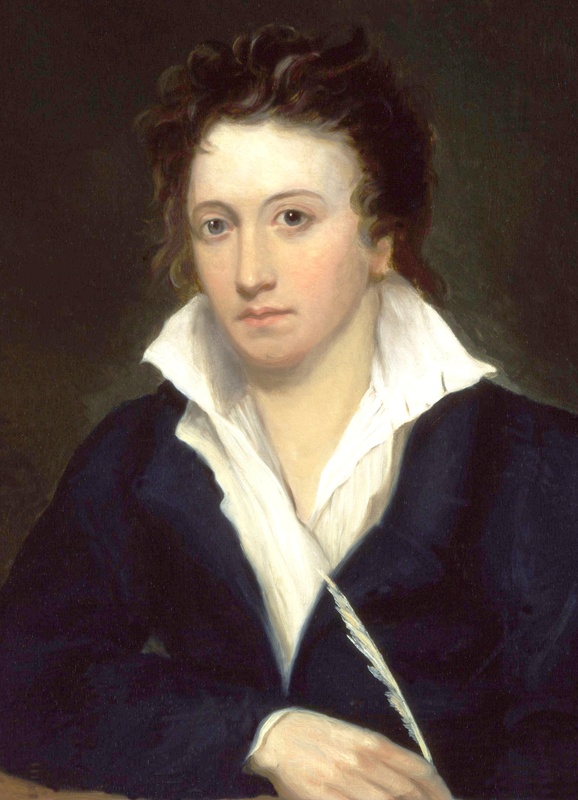 Percy Bysshe Shelley was an English poet of the Romantic period. Coming from an aristocratic background, he is known for his freewheeling idealism. He broke social and political norms of the time, including marrying below his class, remarrying, opposing monarchy, and opposing organized religion. At the age of 30, while living in Italy, he and a friend died when a storm sank their boat. As if in response to Shelley’s “Ozymandias,” Keats’s “Ode on a Grecian Urn” offers a sort of antidote to the inescapable and destructive force of time. Indeed, “Ode on a Grecian Urn” was published in 1819, just a year or so after “Ozymandias.” The antidote is simple: art. The art on the Grecian urn—which is basically a decorative pot from ancient Greece—has survived for thousands of years. While empires rose and fell, the Grecian urn survived. Musicians, trees, lovers, heifers, and priests all continue dying decade after decade and century after century, but their artistic depictions on the Grecian urn live on for what seems eternity. This realization about the timeless nature of art is not new now, nor was it in the 1800s, but Keats has chosen a perfect example since ancient Greek civilization so famously disappeared into the ages, being subsumed by the Romans and mostly lost until the Renaissance a thousand years later. Now, the ancient Greeks are all certainly dead (like the king Ozymandias in Shelley’s poem), but the Greek art and culture lives on through Renaissance painters, the Olympic Games, endemic Neoclassical architecture, and of course, the Grecian urn. 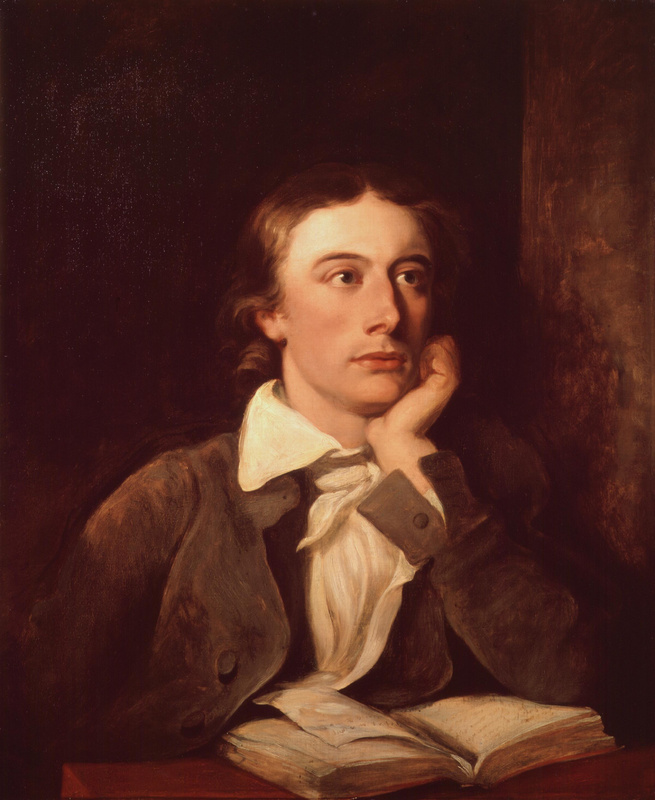 In these profound lines, Keats places us within ignorance, suggesting that what we know on earth is limited, but that artistic beauty, which he has now established is alive, is connected with truth. Truth is, in many cases, connected with the divine. Thus, we can escape ignorance, humanness, and certain death and approach another form of life, approach the truth, and approach the divine through the beauty of art. This effectively completes the thought that began in “Ozymandias” and makes this a great poem one notch up from its predecessor. John Keats is an English poet of the Romantic period. From relatively humble origins as the son of a horse-stable owner to a job as an apprentice surgeon, Keats rose to become a poet of moderate significance in his time, but he died at just 26 from tuberculosis. Posthumously, his poetry, known for its imagery and passion, has been greatly celebrated. This poem contemplates a question arising from the idea of creation by an intelligent creator. The question is this: If there is a loving, compassionate God or gods who created human beings and whose great powers exceed the comprehension of human beings, as many major religions hold, then why would such a powerful being allow evil into the world? Evil here is represented by a tiger that might, should you be strolling in the Indian or African wild in the 1700s, have leapt out and killed you. What would have created such a dangerous and evil creature? How could it possibly be the same divine blacksmith who created a cute, harmless, fluffy lamb or who created Jesus, also known as the “Lamb of God” (which the devoutly Christian Blake was probably also referring to here). To put it another way, why would such a divine blacksmith create beautiful, innocent children and then also allow such children to be slaughtered. The battery of questions brings this mystery to life with lavish intensity. Does Blake offer an answer to this question of evil from a good God? It would seem not on the surface. But this wouldn’t be a great poem if it were really that open-ended. The answer comes in the way that Blake explains the question. Blake’s language peels away the mundane world and offers a look at the super-reality that poets are privy to. We fly about in “forests of the night” through “distant deeps or skies,” looking for where the fire in the tiger’s eye was taken from by the Creator. This is the reality of expanded time, space, and perception that Blake so clearly elucidates elsewhere with the lines “To see a world in a grain of sand / And a heaven in a wild flower, / Hold infinity in the palm of your hand, / And eternity in an hour” (“Auguries of Innocence”). This indirectly tells us that the reality we ordinarily know and perceive is really insufficient, shallow, and deceptive. Where we perceive the injustice of the wild tiger, something else entirely may be transpiring. What we ordinarily take for truth may really be far from it: a thought that is scary, yet also sublime or beautiful—like the beautiful and fearsome tiger. Thus, this poem is great because it concisely and compellingly presents a question that still plagues humanity today, as well as a key clue to the answer. 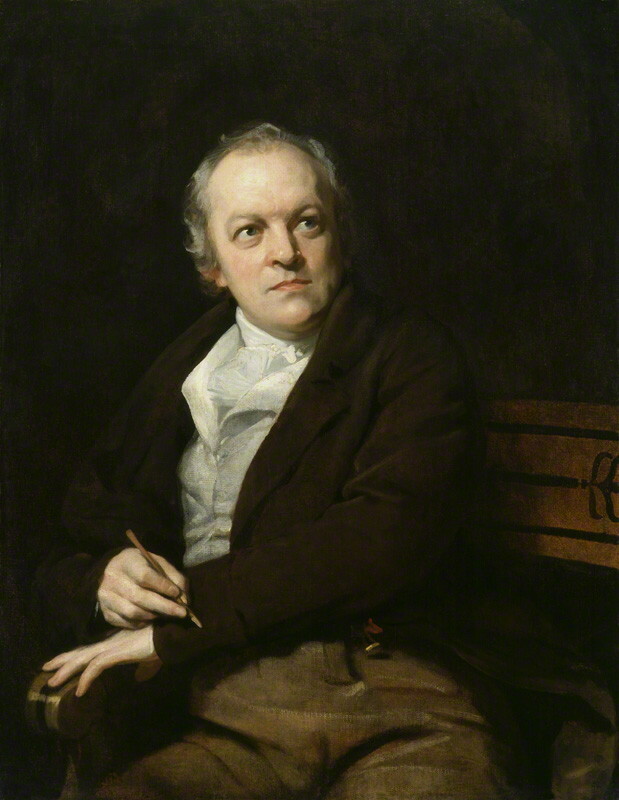 William Blake was an English poet of the early Romantic period. He was also a skilled engraver and artist. Although against organized religion, he was passionately Christian and frequently had visions, which, combined with the spiritual nature of his poetry and art, led to his often being thought of as a lunatic. This poem deals with one’s limitations and shortcomings in life. Everyone has them, and Milton’s blindness is a perfect example of this. His eyesight gradually worsened, and he became totally blind at the age of 42. This happened after he served in an eminent position under Oliver Cromwell’s revolutionary Puritan government in England. To put it simply, Milton rose to the highest position an English writer might at the time and then sank all the way down to a state of being unable to read or write on his own. How pathetic! The genius of this poem comes in the way that Milton transcends the misery he feels. First, he frames himself, not as an individual suffering or lonely, but as a failed servant to the Creator: God. While Milton is disabled, God here is enabled through imagery of a king commanding thousands. This celestial monarch, his ministers and troops, and his kingdom itself are invisible to human eyes anyway, so already Milton has subtly undone much of his failing by subverting the necessity for human vision. More straightforwardly, through the voice of Patience, Milton explains that serving the celestial monarch only requires bearing those hardships, which really aren’t that bad (he calls them “mild”), that life has burdened you with (like a “yoke” put on an ox). This grand mission from heaven may be as simple as standing and waiting, having patience, and understanding the order of the universe. Thus, this is a great poem because Milton has not only dispelled sadness over a major shortcoming in life but also shown how the shortcoming is itself imbued with an extraordinary and uplifting purpose. John Milton is an English poet of the late Renaissance period. He is most noted for his epic poem on the fall of Satan and Adam and Eve’s ejection from the Garden of Eden, Paradise Lost, which he composed after having gone blind. During his time, he was known for his strong Puritan faith, opposition to the Church of England and the pope, and his support for personal freedoms. 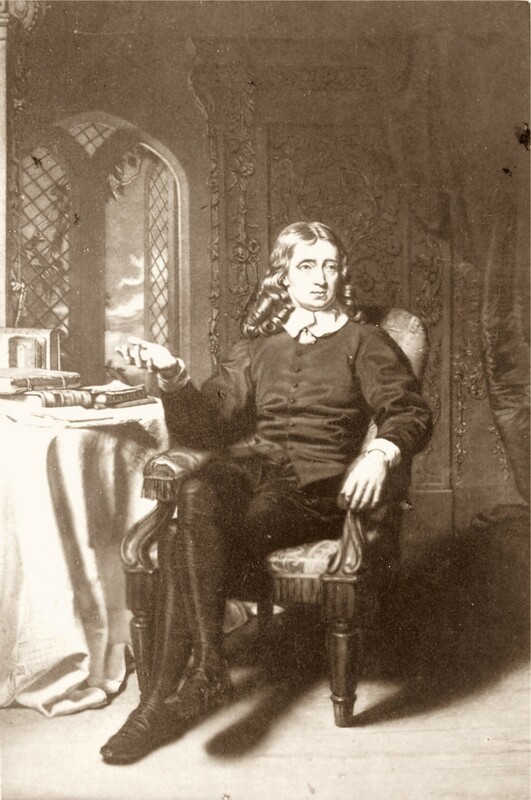 After the English Civil War and the ascension of the Puritan general and parliamentarian Oliver Cromwell over the Commonwealth of England, Milton was given a high position, making him essentially head propagandist. In this nine-stanza poem, the first six stanzas are rather vague since each stanza seems to begin a new thought. Instead, the emphasis here is on a feeling rather than a rational train of thought. What feeling? It seems to be a reaction against science, which is focused on calculations (“mournful numbers”) and empirical evidence, of which there is none, or very little, to prove the existence of the soul. Longfellow lived when the Industrial Revolution was in high gear and the ideals of science, rationality, and reason flourished. From this perspective, the fact that the first six stanzas do not follow a rational train of thought makes perfect sense. According to the poem, the force of science seems to restrain one’s spirit or soul (“For the soul is dead that slumbers”), leading to inaction and complacency from which we must break free (“Act,—act in the living Present! / Heart within, and God o’erhead!”) for lofty purposes such as Art, Heart, and God before time runs out (“Art is long, and Time is fleeting”). The last three stanzas—which, having broken free from science by this point in the poem, read more smoothly—suggest that this acting for lofty purposes can lead to greatness and can help our fellow man. We might think of the entire poem as a clarion call to do great things, however insignificant they may seem in the present and on the empirically observable surface. That may mean writing a poem and entering it into a poetry contest, when you know the chances of your poem winning are very small; risking your life for something you believe in, when you know it is not popular or it is misunderstood; or volunteering for a cause that, although it may seem hopeless, you feel is truly important. Thus, the greatness of this poem lies in its ability to so clearly prescribe a method for greatness in our modern world. 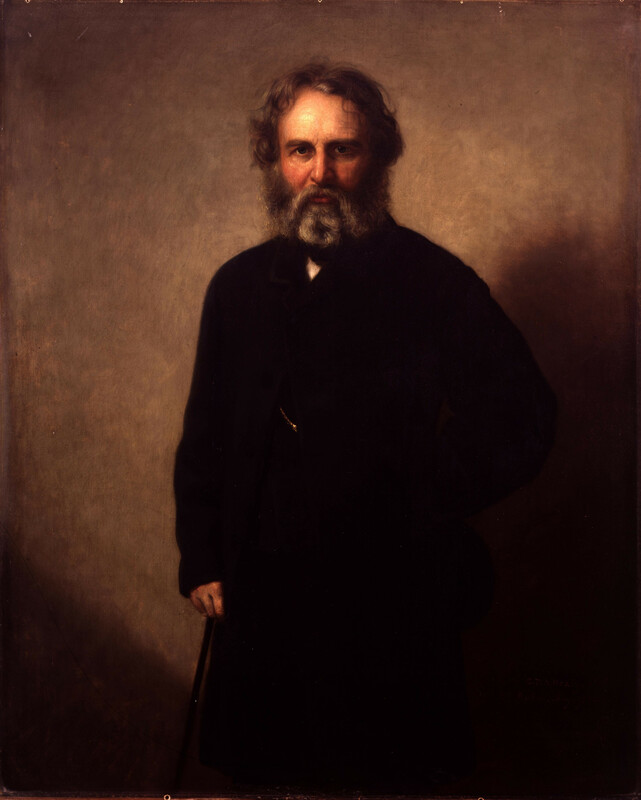 Henry Wadsworth Longfellow is an American poet of the Romantic period. He served as a professor at Harvard and was an adept linguist, traveling throughout Europe and immersing himself in European culture and poetry, which he emulated in his poetry. 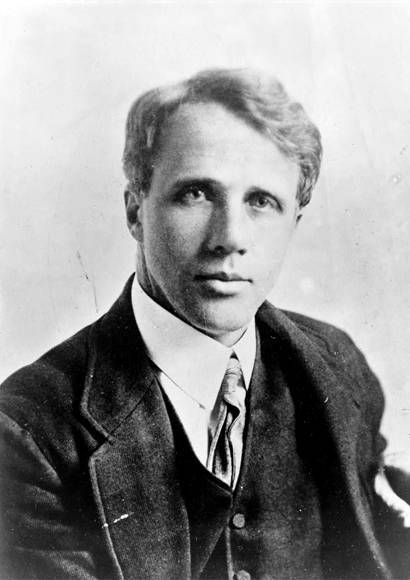 Before television, radio, and film, he rose to become not just the leading poet and literary figure of 19th century America but also an American icon and household name. Through the narrator’s chance encounter with a field of daffodils by the sea, we are presented with the power and beauty of the natural world. It sounds simple enough, but there are several factors that contribute to this poem’s greatness. First, the poem comes at a time when the Western world is industrializing and man feels spiritually lonely in the face of an increasingly godless worldview. This feeling is perfectly harnessed by the depiction of wandering through the wilderness “lonely as a cloud” and by the ending scene of the narrator sadly lying on his couch “in vacant or in pensive mood” and finding happiness in solitude. The daffodils then become more than nature; they become a companion and a source of personal joy. Second, the very simplicity itself of enjoying nature—flowers, trees, the sea, the sky, the mountains, and so on—is perfectly manifested by the simplicity of the poem: The four stanzas simply begin with daffodils, describe daffodils, compare daffodils to something else, and end on daffodils, respectively. Any common reader can easily get this poem, as easily as her or she might enjoy a walk around a lake. Third, Wordsworth has subtly put forward more than just an ode to nature here. Every stanza mentions dancing, and the third stanza even calls the daffodils “a show.” At this time in England, one might have paid money to see an opera or other performance of high quality. Here, Wordsworth is putting forward the idea that nature can offer similar joys and even give you “wealth” instead of taking it from you, undoing the idea that beauty is attached to earthly money and social status. This, coupled with the language and topic of the poem, which are both relatively accessible to the common man, makes for a great poem that demonstrates the all-encompassing and accessible nature of beauty and its associates: truth and bliss. 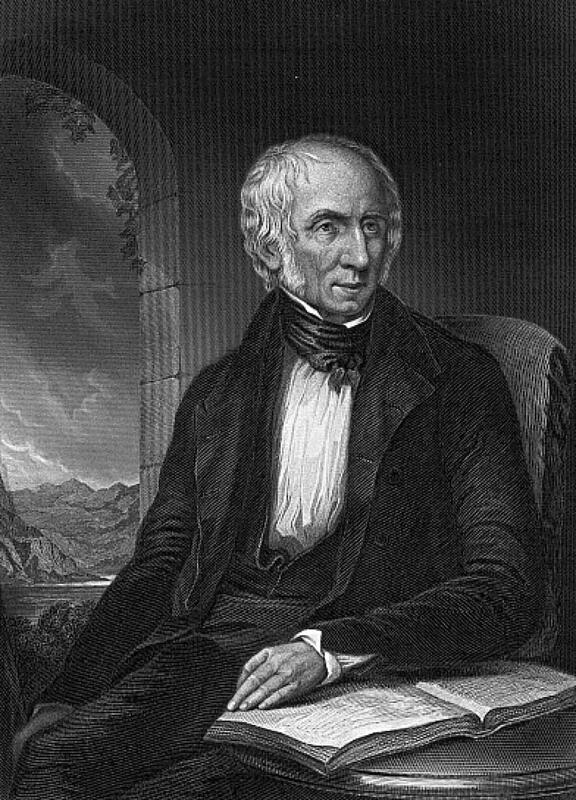 William Wordsworth was an English poet who is considered a seminal figure of the Romantic period. Along with Samuel Taylor Coleridge, Wordsworth published a collection of short poems, titled Lyrical Ballads, addressing often common experiences with common language, effectively breaking from the Neoclassical style that dominated at the time. He rose to the post of Poet Laureate of England. Death is a perennial subject of fear and despair. But, this sonnet seems to say that it need not be this way. The highly focused attack on Death’s sense of pride uses a grocery list of rhetorical attacks. First, sleep, which is the closest human experience to death, is actually quite nice. Second, all great people die sooner or later, and the process of death could be viewed as joining them. Third, Death is under the command of higher authorities such as fate, which controls accidents, and kings, who wage wars. From this perspective, Death seems no more than a pawn in a larger chess game within the universe. Fifth, “poppy and charms” (drugs) can do the sleep job as well as Death or better. The sixth, most compelling, and most serious reason is that if one truly believes in a soul then Death is really nothing to worry about. The soul lives eternally and this explains line 4, when Donne says that Death can’t kill him. If you recognize the subordinate position of the body in the universe and identify more fully with your soul, then you can’t be killed in an ordinary sense. Further, this poem is so great because of its universal application. Fear of death is so natural an instinct and Death itself so all-encompassing and inescapable for people, that the spirit of this poem and applicability of it extends to almost any fear or weakness of character that one might have. Confronting, head on, such a fear or weakness, as Donne has done here, allows human beings to transcend their condition and their perception of Death, more fully perhaps than one might through art by itself—as many poets from this top ten list seem to say—since the art may or may not survive, may or may not be any good, but the intrinsic quality of one’s soul lives eternally. Thus, Donne leaves a powerful lesson to learn from: Confront what you fear head on and remember that there is nothing to fear on earth if you believe in a soul. 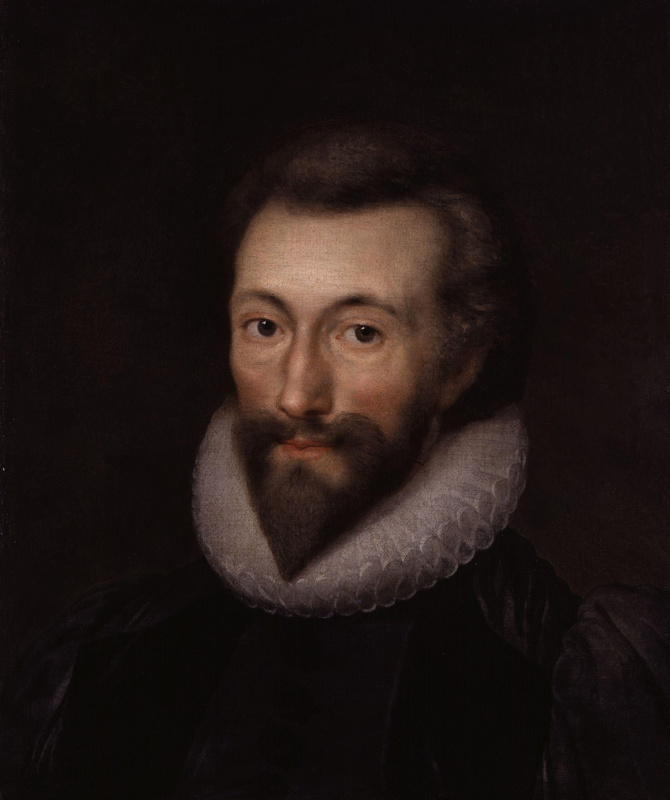 John Donne (1572–1631) was a major English poet of the late Renaissance period. While serving as secretary for the Duke of Egerton, he married the Duke’s niece secretly and, as a consequence, was briefly imprisoned. He was no longer viewed suitable for public service and spent the next period of his life relatively impoverished. During this period, the couple had many children, while Donne produced many literary works for various patrons. Late in his life, he became a devoted cleric in the Church of England. From a modern perspective, this poem might come off as pompous (assuming the greatness of one’s own poetry), arbitrary (criticizing a summer’s day upon what seems a whim), and sycophantic (praising someone without substantial evidence). How then could it possibly be No. 1? After the bad taste of an old flavor to a modern tongue wears off, we realize that this is the very best of poetry. This is not pompous because Shakespeare actually achieves greatness and creates an eternal poem. It is OK to recognize poetry as great if it is great, and it is OK to recognize an artistic hierarchy. In fact, it is absolutely necessary in educating, guiding, and leading others. The attack on a summer’s day is not arbitrary. Woven throughout the language is an implicit connection between human beings, the natural world (“a summer’s day”), and heaven (the sun is “the eye of heaven”). The comparison of a human being to a summer’s day immediately opens the mind to unconventional possibilities, to spiritual perspectives, to the ethereal realm of poetry and beauty. The unabashed praise for someone without a hint as to even the gender or accomplishments of the person is not irrational or sycophantic. It is a pure and simple way of approaching our relationships with other people, assuming the best. It is a happier way to live—immediately free from the depression, stress, and cynicism that creeps into our hearts. Thus, this poem is strikingly and refreshingly bold, profound, and uplifting. William Shakespeare was an English poet and playwright of the Renaissance period. The most significant figure in all of English literature, Shakespeare’s history remains relatively obscure, leaving the door open to countless theories. It is generally accepted that he was not of aristocratic background but rose to become a member of Lord Chamberlain’s company of players, known as the King’s Men; opened his own theater, the Globe; and ended his life prosperously. 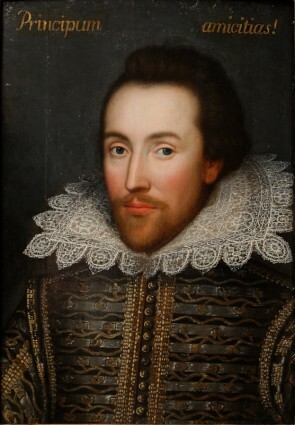 In a long list of acclaimed plays, such as Hamlet, Romeo and Juliet, and A Midsummer Night’s Dream, to name only a few, Shakespeare is often cited for his beautiful language (often in verse form) and his ability to stirringly portray the human experience through his multifaceted characters, universal themes, and brilliant storylines. Evan Mantyk is president of the Society of Classical Poets and a high school English teacher in upstate New York. The aversion to poetry are exactly the symptoms of a sickness of our modern world.